Find My Workspace lists over 95% of the business centres market in Hull. Simply click Request Quote to check pricing for one office, or Add to Basket for multiple offices. Based in the refurbished old Hull City Council building, this centre has breathed new life into the walls of the building and prides itself on being a revolutionary space where entrepreneurs can thrive. 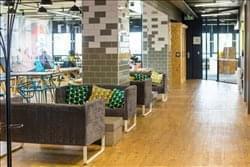 The centre sees high end serviced offices go hand in hand with coworking facilities, coalescing to create a new concept for workspace in the city. The centre has multiple elements, bringing together serviced offices, conventional offices, retail and health outlets and eateries together under one roof. The centre has many amenities that will make it an ideal place for you to grow your business, from its dedicated reception service to its breakout space and brainstorming booths, from its onsite yoga studio and gym to its high speed internet. Offices range from 130sqft to 1100sqft. For an extra bit of relaxation, tenants can take advantage of the building’s stunning roof terrace, with its fitted bar offering 360 degree views across the city. This modern business centre, based in Hull, offers a working environment boasting a wealth of amenities and a lovely atmosphere. With a range of office sizes, the centre offers options for businesses of varying sizes. Rates are all inclusive, allowing for an easy transition into your new home without having to worry about sorting individual bills. The centre also provides fast WiFi, meaning you can get straight online and straight to work. For those who do not adhere to the typical 9 till 5 working day, the centre is accessible 24 hours a day, meaning you can plan work hours to suit your own needs. For those looking for a Hull-based centre packed full of useful amenities this is an exciting proposition. This affordable centre offers a range of offices for business of all types and sizes and with an all-inclusive rate, tenants need not worry about utilities or WiFi upon moving in. The centre boasts a staffed reception who can help you with anything you need, and also offers the availability of free meeting rooms. Internet is uncapped, meaning no worries about your data usage and for those who do not adhere to a typical working hours, the centre offers 24-hour access and there is office cleaning. 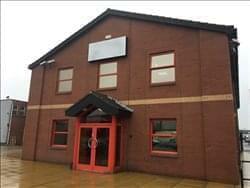 This business centre offers a range of serviced office and storage units available to potential tenants for letting on a monthly, flexible easy in, easy out licence. The centre boasts a brilliant, welcoming sense of community and has many useful amenities. There is an onsite cafe for you to utilise on your lunch break, and ample parking onsite. The centre also offers flexible terms, allowing you to not be tied in to long term contracts – perfect for younger businesses. Other amenities include WiFi, kitchen facilities and printing facilities. Accessible 24-hours a day, this is the ideal space for companies that work outside of the normal nine to five.